I'm not a huge fan of winter but one thing I do like about it is getting to eat soup. Not that I don't all year round or anything but it being a chilly 19 degrees out today just makes soup making even more enjoyable. 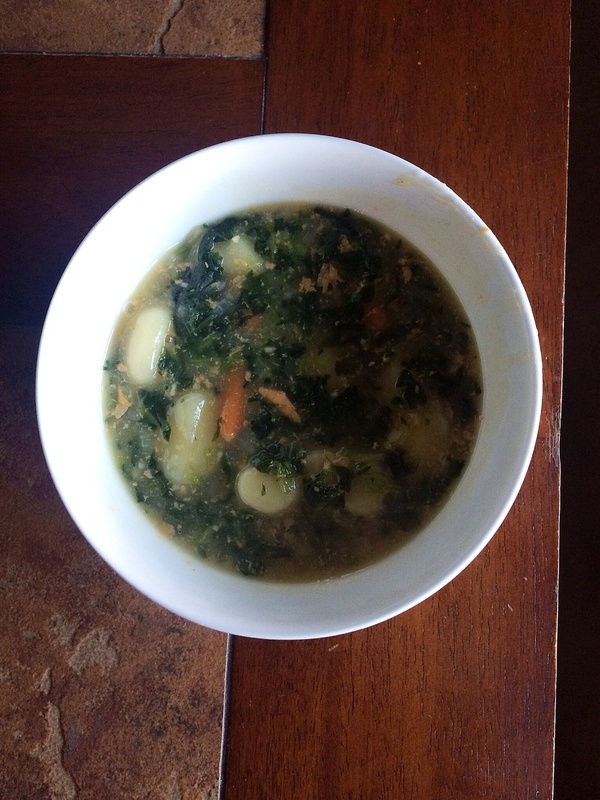 I adaped this recipe which is "Rustic Italian Gnocchi Soup" from the cookbook "Skinny Taste", a Christmas present from my Mom. The nice thing about most soup recipes is that often times it is easy to omit or add ingreadiences. So this yummy soup recipe is mostly from the book but I took out the sausage that it called for as I try not to eat a ton of meat. Also, as the name sake of the book says you can eat this guilt free as it only has about 200 calories per serving. Talk about starting your Monday off right. In a small small bowl make a slurry (see below), Add 1/2 cup water, broth and milk and bring to a boil. Add in veggies and allow to cook about 15-20 minutes. Add slurry, stir, and return to boil. Add gnocchi, spinach and garlic and cook until pasta becomes puffy and floats. Add parm cheese and enjoy! I have a huge hunger for yes soup but also learning new things. Every time I make a new recipe I hope to take something from it. Today, I learned what a "slurry" is. This recipe directed to make a slurry which was to whisk together 3 Tbsp of flour and one cup water. I knew that flour helps to thicken but I've never done it this way before. I guess it's true that you learn something new everyday.